Raymond Whitcomb Bliss was born on 17 May 1888 in Chelsea, MA. In June 1913, he graduated from the Army Medical College, Washington, DC, with a Doctor of Medicine degree and was commissioned a First Lieutenant. 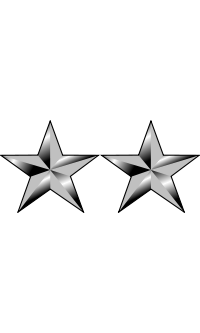 Assigned to the hospital command, he moved to the position of General Hospital Commander, serving as Veterans' Bureau Executive Officer, Assistant Chief of the Surgical Service and Chief of Operations Service, Surgeon General's Office, Washington, DC. During World War II, he was responsible for the establishment of specialized general hospitals for the needs of combat casualties overseas and was named Medical Observer at the Atom Bomb Test at Bikini Island. 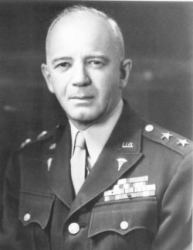 Promoted Brigadier General, on 13 September 1943, he became Assistant Surgeon General, Surgeon General's Office, Washington, DC, in August 1944. On 1 June 1947, he was promoted to Major General and appointed Surgeon General of the Army, where he served until his retirement in 1951. He was the recipient of an honorary Doctor of Science degree and a Doctor of Laws degree. Major General Raymond Whitcomb Bliss died on 12 December 1965 in Tucson, AZ. He is buried at Arlington National Cemetery in Arlington, VA.